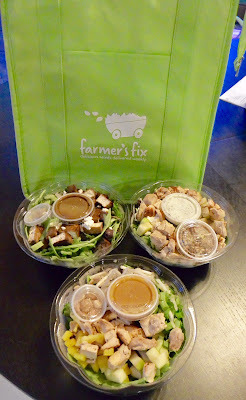 Farmer's Fix Now Offering Protein Add-Ons - San Diego Dining Dish! Last year, Farmer's Fix launched its line of salad delivery products to great success in the San Diego area. I reviewed some of their products last year, and I was impressed with the quality and flavor of the ingredients. The salads were great as they were (are), with loads of organic ingredients and plenty of flavors to keep you from being bored. Well, due to customer requests, Farmer's Fix has added proteins into the mix, offering a choice of grilled chicken, grilled tofu, or hard-boiled eggs to further satiate your hunger. For a small extra fee, the salads can be even more amazing than they already are, and really create a full nutritional profile. They offer several varieties of salads to be customized, and this time I chose the Poppyseed Pear with chicken, Provencal Lentil with tofu, and Thai Forbidden Rice with chicken. One thing that was apparent to me during this review was how convenient these are when trying to eat healthy! They are typically delivered on Sundays in a cooling bag, with airtight containers to keep them fresh for the coming week. We headed to Disneyland for the day on Monday, and decided to take two of the salads with us for lunch, rather than going for the fried chicken and burgers offered. Don't get me wrong, I love a good churro as much as anyone, but the park food isn't exactly healthy. The salads were absolutely perfect! 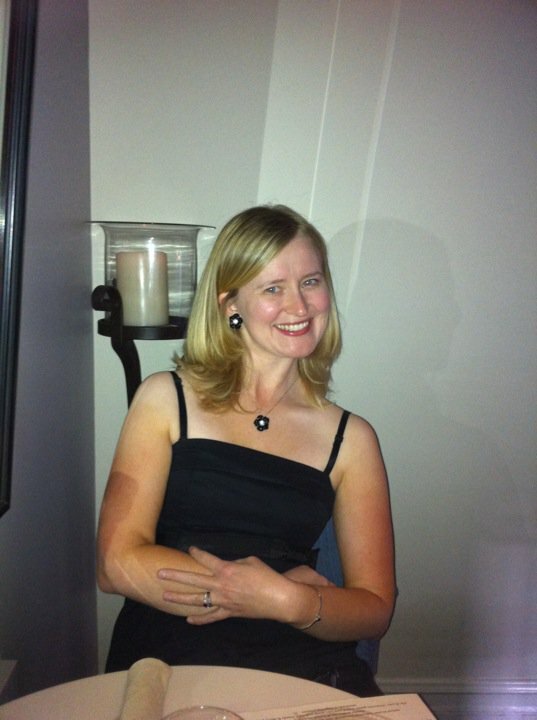 Not only were they filling and delicious, I felt much more energized for the day by consuming healthier food. 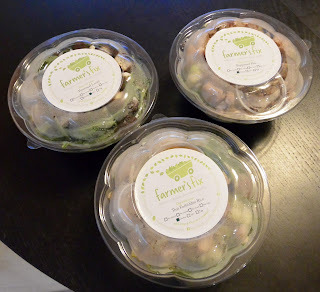 The salads are packed perfectly for transport, and stayed fresh due to the cooling bag. My favorite of the flavors that we tried this time was the Provencal Lentil. 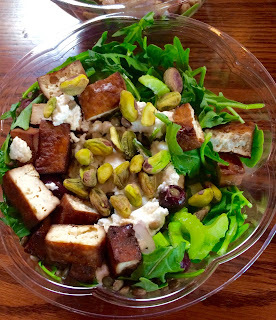 A healthy serving of arugula, celery, feta, kalamata olives, lentils du Puy, mint, pistachio, and shallot, this was a savory dream. I didn't expect to like the tofu (I'm usually lukewarm about tofu), but it was seasoned very well, and was a great accompaniment! 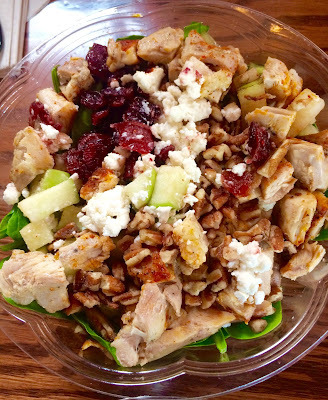 The poppyseed pear salad was more sweet flavored, with apple, dried cranberry, feta cheese, pear, pecan, and spinach. The dressing was almost unnecessary for this salad due to so much flavor in the ingredients. The apples were crispy and fresh, and of course, worked very well with the pecans and cranberries. I've never tried forbidden rice (what a name! ), but I was eager to taste the black rice. The salad was also filled with baby kale, snap peas, yellow bell pepper, honey roasted peanut, bean sprout, and scallions. The flavors blended well with the sweet chili dressing included, and the rice was very filling. It was great for a very different flavor of salad. The new protein add-ons are just the thing to create a full, convenient, healthy meal with Farmer's Fix. To create a subscription, go to https://www.myfarmersfix.com/.